Is it sad that 38 degrees feels balmy? 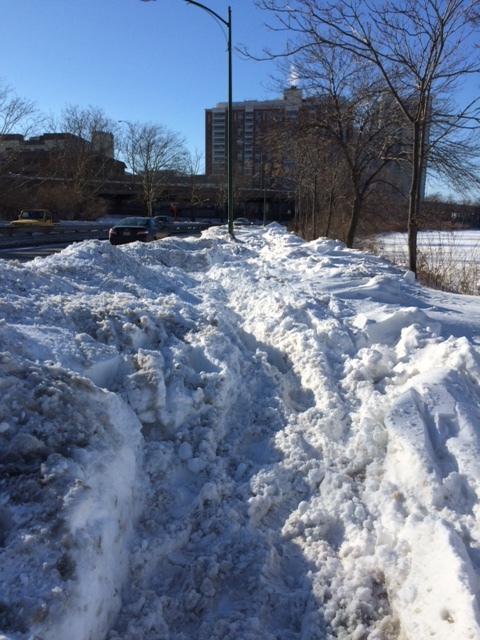 I, for one, am over winter. The past 6 weeks have been really hard for Boston and for many other parts of the country as well. Blizzard after blizzard, ice sidewalks, unplowed streets. Now imagine you are insane enough to train for the Boston Marathon in this. Yeah, that is really not fun. Yep, running through this sucked as much as you think it did. I have been getting in all my long runs (albeit in freezing temperatures and through snow), but I certainly have not been running as often as I like. That has me nervous about April 20th. So I decided turn to an expert for training advice and to learn how to turn a life’s passion into a career. 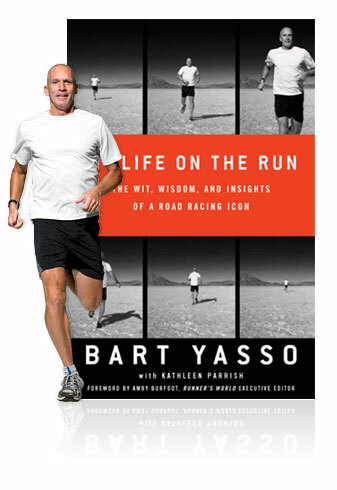 Bart Yasso is the Director of Running for Runner’s World magazine. 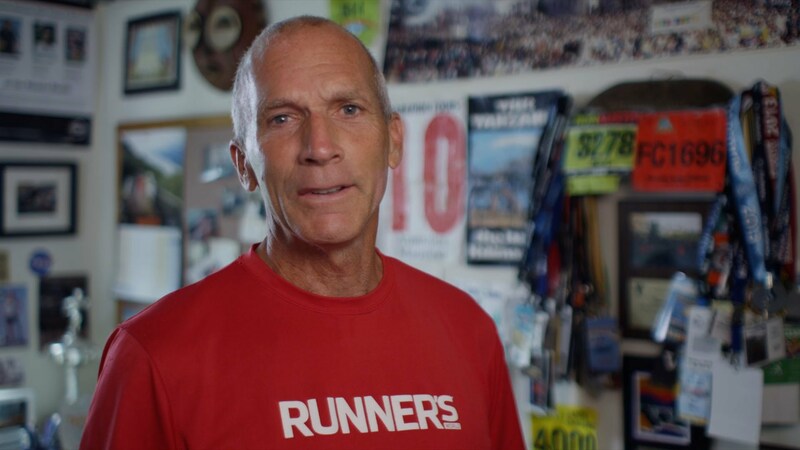 He has run more marathons that you can count and is a great ambassador for the sport, attending races and talking to runners and would-be runners across the country. He’s also coached runners of all levels, so who better to get advice on training in these challenge circumstances. “It’s hard, no way around it,” Bart admitted about winter training, especially training this winter. I can’t tell you how comforting this validation was, especially coming from such a legend. Bart, who rightfully pegged me as a Type A person—he actually used the phrase “Type A+”—and warned me that getting to the starting line healthy is the most important thing. Although we have the best of intentions, we A+ers often over-train and suffer overuse injuries before we even reach race day. Bart stressed that I should listen to my body. If it needs rest, oblige. He also said that if I was forced on to a “dreadmill” I could do shorter distances, but at a faster pace to make the most of the run. I really appreciated this advice because I really can’t take the boredom of 30 minutes worth of staring at my sweaty face in the mirror on a treadmill. While Bart’s training advice was incredibly helpful, the best part of our conversation was talking about his life on the run (don’t give me too much writing props for that one, it’s the title of his fantastic memoir). I always love hearing from folks who have managed to follow their passion and make it a career, and Bart may have the best story I’ve heard yet. Bart admits, with no air of hyperbole, running saved his life. “Had I not changed my life in 1977 I would not be here,” he told me. While Bart is a natural runner, he did not start running until after an adolescence filled with alcohol and weed. He became hooked on running instead after his first race. “Once I committed to running and changed my life I was going to do it all-out,” he said. And boy did he. In Boston, in particular, you have the most elite runners in the world accomplishing “this amazing feat” (26.2 is a challenge even for them) on the same streets as us mere mortals. 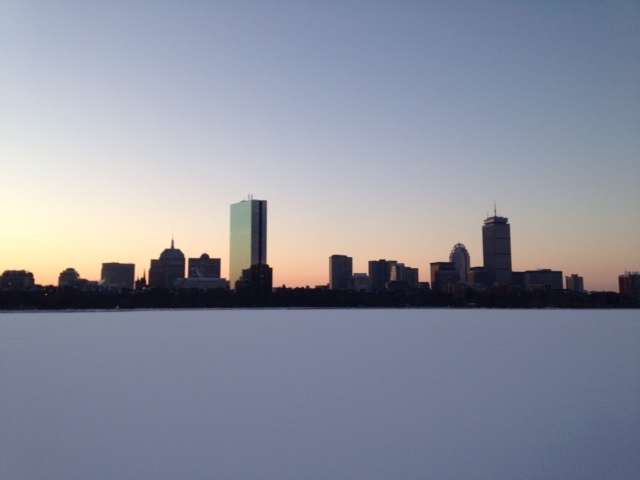 “To have all that happen in the same place is unheard of.” As that sunk in, I realized that this is one of the things that makes Boston so special. I am just like one of the thousands of runners that Bart meets each year. Like I’m sure, I ended our time together inspired. 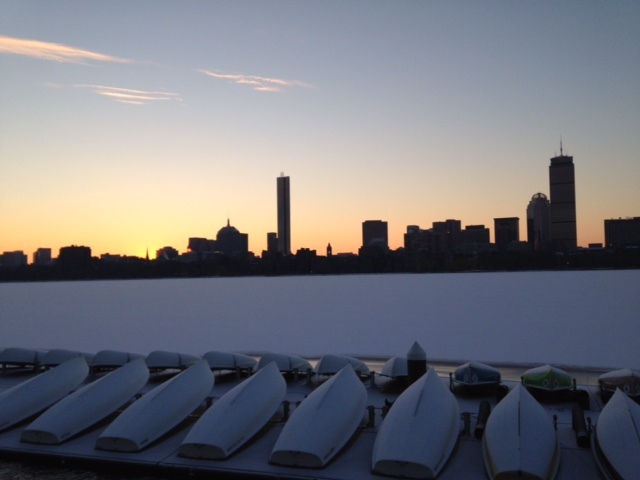 And as the snow in Boston starts to melt (knock on wood), and there are small signs of spring, I am reinvigorated to continue my training…while taking Bart’s advice to listen to my body and “have fun.” That is what its about after all. While my running of the 2015 Boston Marathon is about the personal accomplishment, it’s also about raising money for a very good cause, The Children’s Advocacy Center. Please donate to my effort if you can.